For a city that champions the 'Made in Italy' stamp of time-tested luxury and artisan craft, Milan AW14 felt like an embracing of the future. 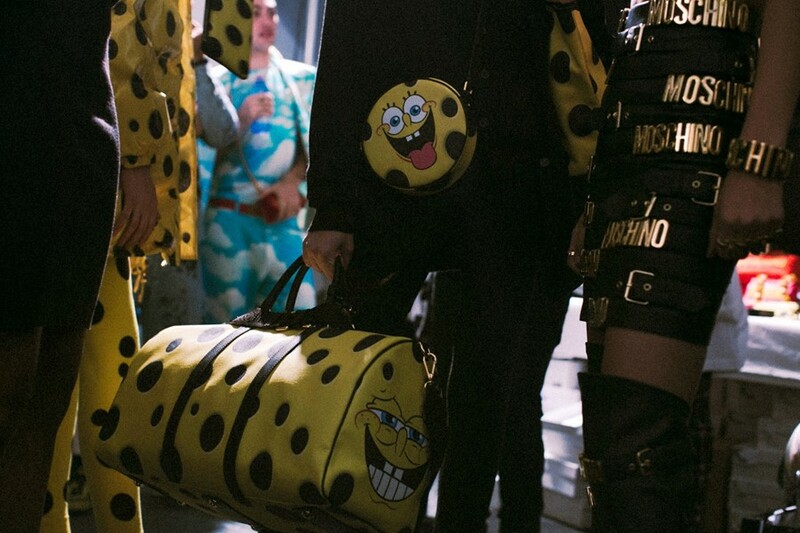 Giorgio Armani continued to support the new generation, Fendi saw their catwalk encircled by drones, and Moschino welcomed an injection of American pop culture irreverence. As someone in the thick of the action – from front row to after party – Susie Bubble reflects on her ten best moments of Milan. When it was announced that drones would be flying over the Fendi catwalk, you wondered what that actually entailed. The small cuboid devices with their red and green lit-up “eyes” made a lot of noise but didn’t detract from the show, which was yet another display of Fendi’s furry prowess. Looking back at the footage, the drones zoomed in on models in guerilla fashion – a welcome departure from straight-on, conventional streaming. 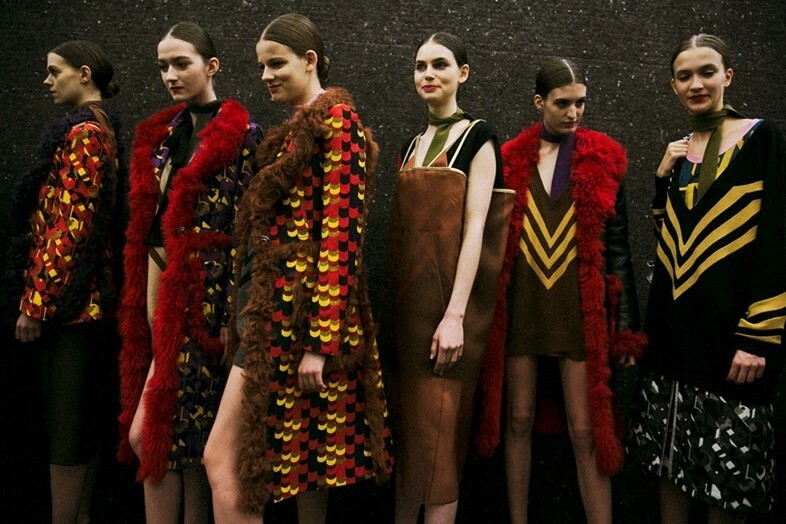 When Miuccia Prada works a reference, she never veers towards the literal. Miuccia’s movie marathon locked up with Rainer Werner Fassbinder films resulted in a collection of sensual layers, to be scrutinised one by one – slinky 70s shearling jackets, sheer dresses edged with fur, boyish geometric Y-fronts. It’s not Weimar dressing as you know it, but twisted for the here and now. For pure theatrics, Roberto Cavalli’s ring of fire set couldn’t be beat, both for its toxic/entoxicating smell and the physical heat it made you feel. A comment on the state of fashion perhaps? If you can’t stand the heat, then get out of the kitchen? It’s been a few seasons of talking up young designers in Milan with Giorgio Armani lending out his venues and fashion conglomerates sniffing out for investment opportunities. Marco de Vincenzo is now leader of the pack, with majority investment from LVMH having just been announced. This ex-Fendi accessories designer impressed with disco-inspired fabric developments such as an undulating wave motif in leather and lurex-backed knife pleats. Tomas Maier has been championing textural subtleties at Bottega Veneta and this season was no different with printed trompe l’oeil pleats and op-art prints worked over tightly creased dresses. Maier made light work of all that detailing. Dolce and Gabbana took a break from sun-drenched Sicilian life and created a magical forest to escape into instead. As we looked on at this collection of capes, knight coif hoods and corseted dresses, we thought of fairy tales, Disney, happily ever after and all the rest of that schmaltz. It was a welcome diversion. It was an hour late. People did grumble. Katy Perry got booed. 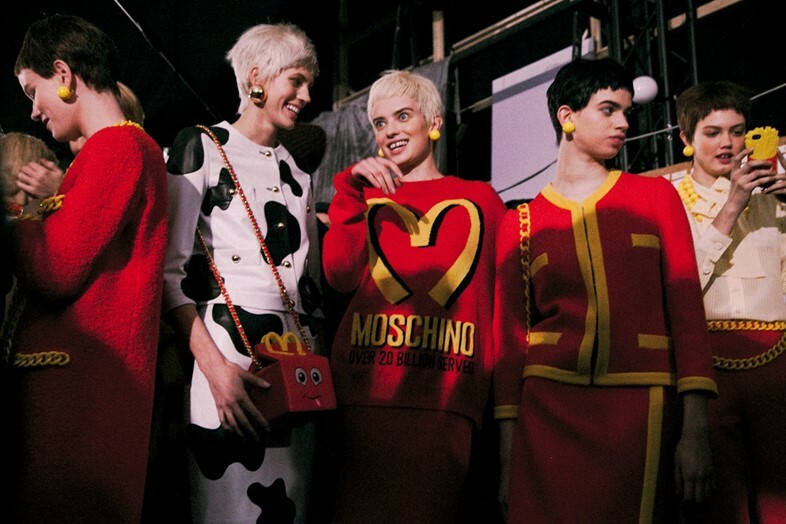 But Jeremy Scott did serve us up a happy meal kick with cheeky plays on the McDonald’s logo, Spongebob Squarepants, vintage Moschino bling and American junk food printed on an opera-appropriate finale. Like it, loathe it – it got people talking, and those likes spiked up even more as select pieces from the collection hit the website instantly after the show. Insta-fashion at its best. After the Moschino show, the party carried on in the Giacomo restaurant near the Duomo. A hot buffet, Britney on the playlist and Kiko Mizuhara (she walked the show) and Rita Ora floating about made for an after party, reminiscent of the ones Jezza used to throw in Paris. The season has been skewing seventies, but Gucci and Versace had their mod-ish moments with frill-fronted Mary Quant-ish minidresses and lean military jackets respectively. Milan and swinging London converged. Alessandro Facchinetti is getting into a groove with her second collection at Tod’s as she used the house’s signature leather more as a fabric than an accent – making it drape in a geometric printed cape and voluminous blouse and swing in a mauve patent dress and punched silver A-line skirt. That's a whole lotta leather.